The EQuIS Professional data view window offers several default preference options for the display of filter results. 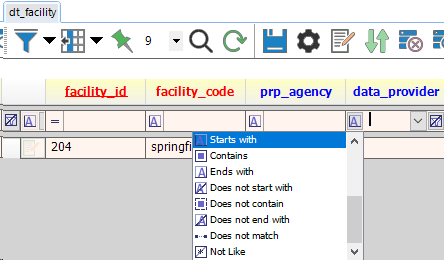 After installation, the default display option installs a filter row for text input below the column header in each row, and hides rows that do not meet the filter criteria. To access the filter options menu, left-click on the down arrow directly right of the Filter toggle icon, and select Options. The following Options Menu has several options. 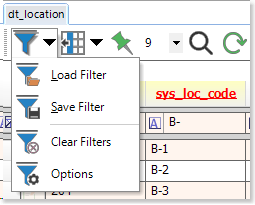 The Show/Hide filtered rows option will hide all rows that do not meet the criteria set within the filter row or custom filter set up in the data view window. This is the default installation selection for filtering rows. 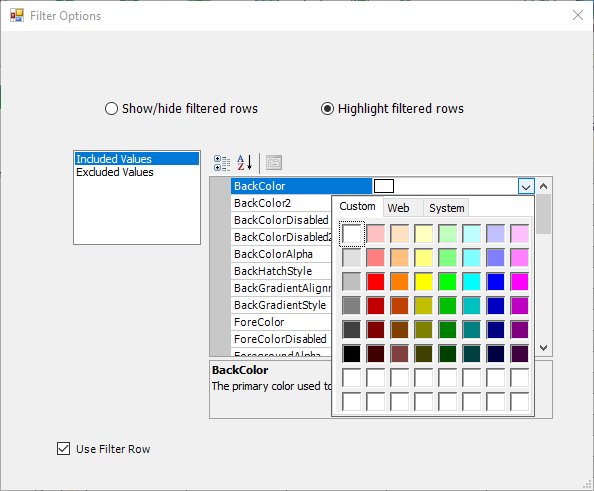 The Highlight filtered rows option allows the user to display values included and returned by the filter criteria as well as a separate display option for the excluded values that do not meet the filter criteria. The Included Values and Excluded Values options will be displayed if the Highlight filtered rows radio button is selected. Highlighting one value in the list will update the right pane of display options for that particular included or excluded value. The Use Filter Row check box will add a filter row with several filter options available, below the column header for each table or report opened in EQuIS Professional. If the Use Filter Row box is checked when you select the Filter icon, the filter row will display as follows. When you uncheck Use Filter Row and select the Filter icon, the filter shows up next to the field name, as shown in the following image. 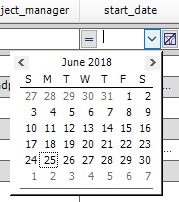 Any field containing a *_date shows a calendar when using the filter row.